Traveling across the treacherous and diverse landscape of western North Carolina is a challenge historically met with human ingenuity. Mountain traces of Native Americans, dusty stagecoach routes and vital railroads lined the region. Asheville installed the stateï¾s first electric streetcars. Intrepid young men and women continued North Carolina's aviation legacy. The Buncombe Turnpike helped tame the Blue Ridge Mountains, allowing livestock drives to reach markets in South Carolina. 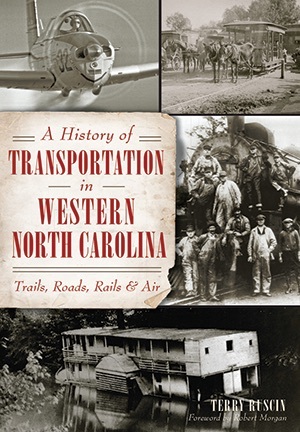 Author Terry Ruscin reveals the visionaries and risk-takers who paved the way to the Land of the Sky in a wondrous examination of western North Carolina transportation history.